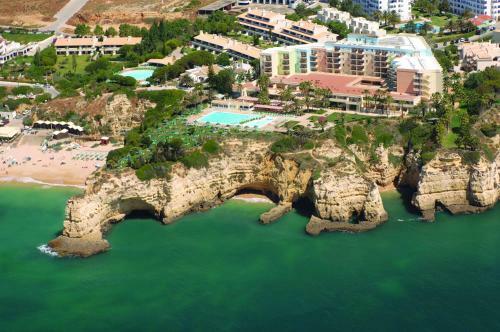 Located in Porches, Algarve, this luxurious spa resort features panoramic Atlantic Ocean views and has direct beach access. It also has 2 restaurants, outdoor and indoor pools and a gym. Be Live Family Palmeiras Village is located in Porches, at just 300 metres from the beach. The recently-renovated property includes new adult and kids' outdoor swimming pools, a kids club and a fitness centre. Villa in Porches I is a villa with a seasonal outdoor pool, situated in Porches in the Algarve Region. The air-conditioned unit is 16 km from Albufeira. Free WiFi is offered throughout the property. Situated 3 km from Porches in Western Algarve, Turiquintas offers apartments and studios with outdoor pool and children pool. Amenities include on-site mini market, tennis courts, billiards and bike rental. Located between Armação de Pêra and Lagoa, Vila Mardise offers accommodation for 10 persons a 12-minute drive from Carvoeiro Beach. It includes an outdoor pool and free WiFi.